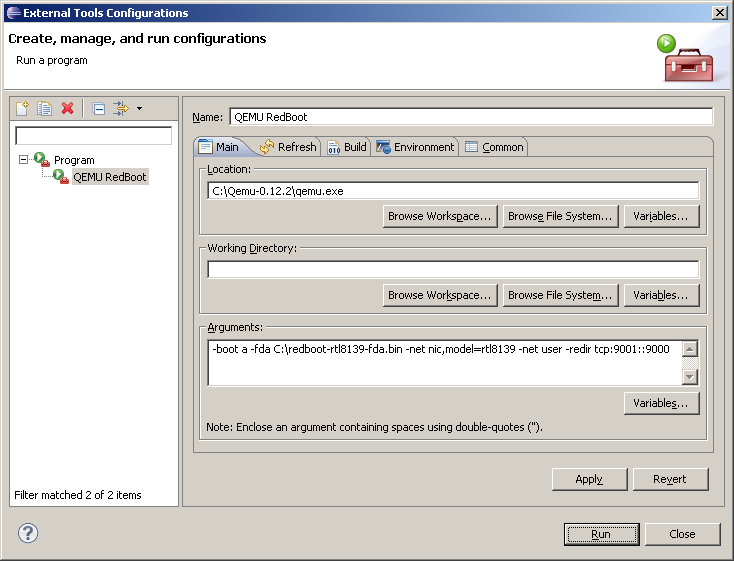 This technical note describes use of the QEMU emulator for the debugging of eCos® applications. QEMU enables experimentation with eCos and eCos application development without access to target hardware. Two debugging techniques are presented. Both techniques are intended to be used with eCos i386 PC platform support and should work on both Linux® and Windows® hosts. The first technique involves running RedBoot™ within QEMU and using the GDB stubs built into RedBoot to download application code and control execution. 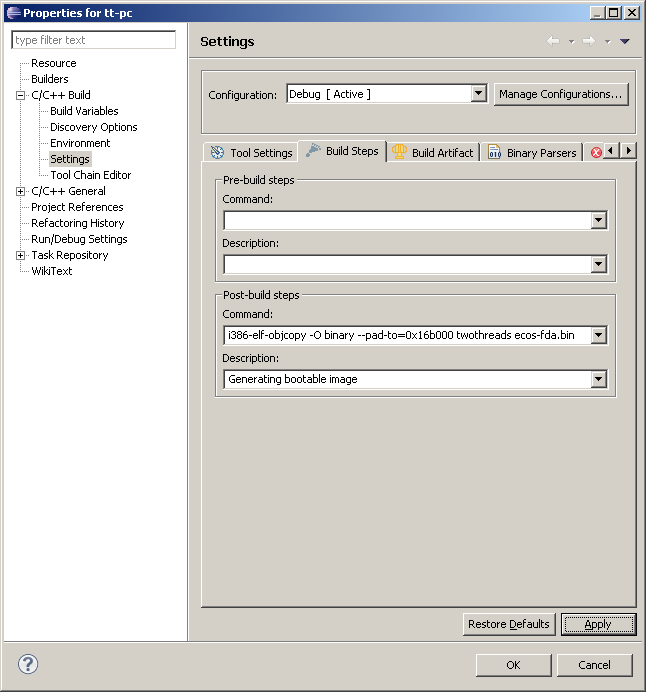 This technique is relatively easy to implement and provides a debugging environment similar to that of a standalone PC target connected via ethernet to the development host. The second technique involves building the eCos application as a bootable image and using the GDB server built into QEMU to control execution. This technique provides a more robust debugging environment similar to that of a JTAG debugger where execution can be interrupted and target state inspected regardless of any issues with the application software. At the time of writing, the latest version available from this site was Qemu-0.12.2-windows-Lite.zip. These parameters instruct QEMU to boot using the RedBoot image and to redirect GDB connection requests at port 9001 on the development host to port 9000 (RedBoot) within the emulated PC. eCos diagnostic output is directed to the debug port by default and presented in the GDB console window. In order to debug bootable eCos applications within QEMU, an eCos configuration based on the pc_rltk8139 hardware template should be used. The eCos Startup type (CYG_HAL_STARTUP) must then be	customised, specifying type "FLOPPY" or "GRUB". For the purpose of illustration, we will assume CYG_HAL_STARTUP == "FLOPPY" since this allows a disk image suitable for QEMU to be generated very easily. Note, however, that the use of the "FLOPPY" startup type limits available RAM on the target PC to 640 KiB. Note that the padding parameter represents the load address (LMA) of the eCos application (specified by the linker script) plus the required length of the disk image (1440 KiB). The resulting disk image file (ecos-fda.bin) must be 1474560 bytes in length. These parameters instruct QEMU to wait for a GDB connection request at port 1234 on the development host. 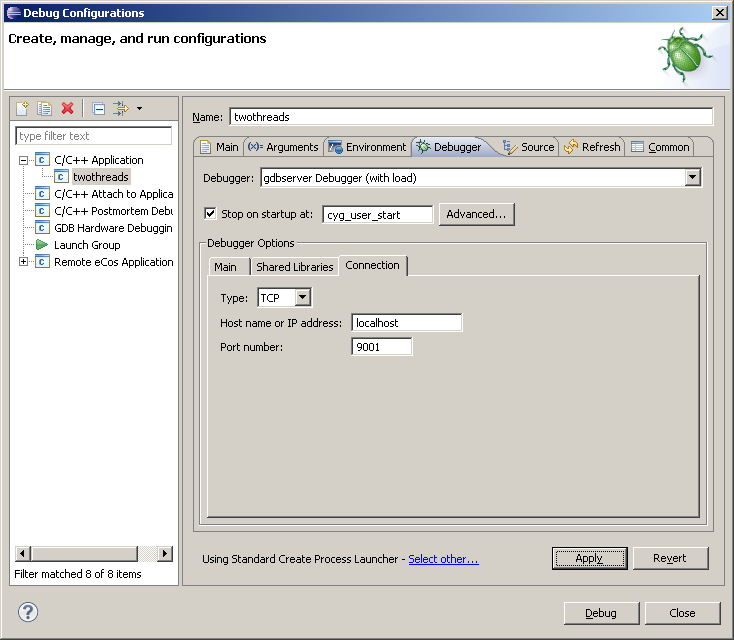 The eCos application itself is started from within the Eclipse debugging session. eCos diagnostic output is directed to serial port 0 by default. The final parameters of the QEMU command line allow this output to be viewed using a telnet session to port 9003 on the development host.